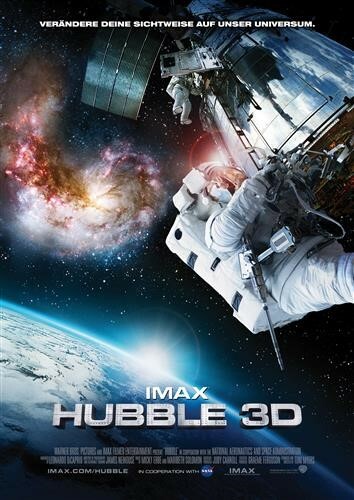 Experience the gripping story - full of hope, crushing disappointment, dazzling ingenuity, bravery, and triumph in "Hubble 3D". Through the power of IMAX 3D, this giant-screen-film will enable movie-goers to journey through distant galaxies to explore the grandeur and mysteries of our celestial surroundings, and accompany spacewalking astronauts as they attempt the most difficult and important tasks in NASA's history. The film will offer an inspiring and unique look into the Hubble Space Telescope's legacy and highlight its profound impact on the way we view the universe and ourselves.